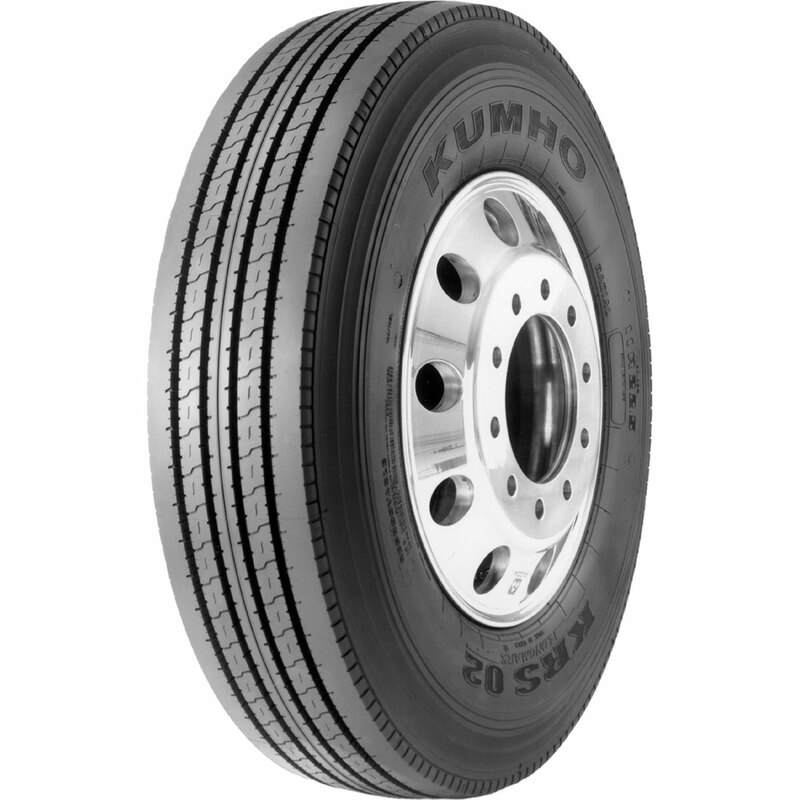 KRS02 is a new generation regional steer tire featuring Tread Centering Groove Technology (TCG) for improved wear uniformity. The KRS02 was engineered to meet the demanding needs of regional, pickup and delivery and all-wheel applications. This five-rib, four-groove tire has been improved with a deeper 20/32" tread depth. A great combination of new technology, design and value. New general purpose, non-decoupling groove, all-position capable, five-rib design. Improved 20/32 tread design for long original tread life. TCG to improve accuracy of setting toe-in. New, improved tire specifically designed to provide high mileage in regional and pickup and delivery service.